The "Divas Girls Group" is a weekly young women's program that gives young girls, ages 11 to 15 years of age, the opportunity to meet in a safe environment and to engage in fun and healthy learning activities. Some of these activities include: arts and crafts, trips to art galleries / museums, movies, and other cultural outings, poetry reading, drama and dance. The program also gives the young women the skills to speak on the radio, produce music, videos and the ability to write for the Catch da Flava Magazine on issues that they are interested in. 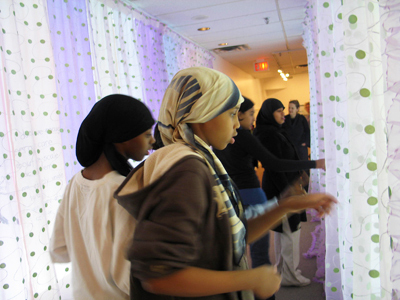 Workshops are facilitated by artists and educators on themes or issues that would be of interest. The "Diva's" runs during the school year at Regent Park Focus. Learn more about the Divas Girls Group on The Focus Blog!